A Proof of Delivery or POD is a receipt which establishes the receiver’s acknowledgement of the freight received in a good condition. POD contains information relayed by the carrier, which includes the name of the person who received the product, the date and the time when the freight was delivered, and other relevant shipping details. E-PODs saves time, prevents disputes, and reduces the company’s carbon footprints. In Delivery Management System (DMS), System automatically generates optimal delivery routes, which are cheapest to operate, while meeting various operating constraints. Planner’s assigns system generated routes to delivery man. Once routes are assigned, delivery man can login into the mobile application and he can view the list of shop delivery details. 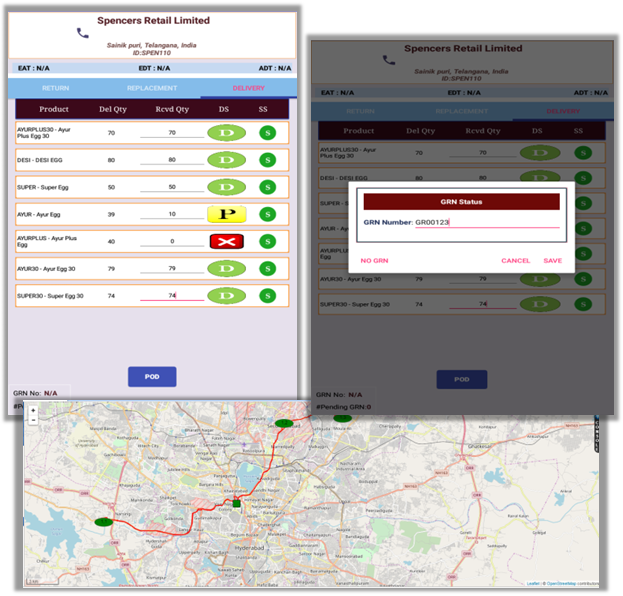 He can view the list of shops to be visited, number of order items to be delivered and update the delivery status after completing each delivery. Once all the deliveries for the visited shop is completed, he needs to capture the PoD (Proof-of-Delivery) in the application. 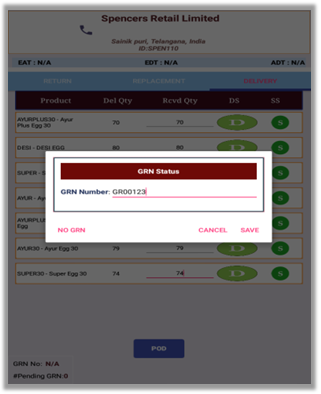 System allows capturing GRN Number of the shop as a Proof-of-Delivery. When data connectivity is present, the mobile sends updated delivery details to the server immediately. In the absence of data connectivity, the mobile application stores the information locally and updates the server as and when the data connectivity is restored. As part of Proof-of-Delivery, the mobile application captures the geo-location of the current place. Using the geo-location, we can track the delivery man and monitor the deliveries. 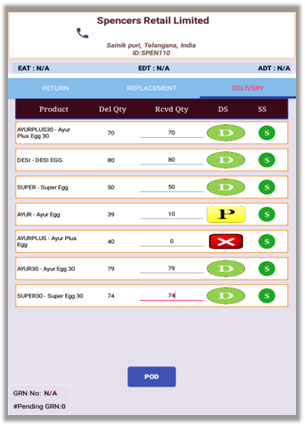 System can generate the invoices automatically for the delivery, when POD is completed. The invoices can be generated from the back office automatically and sent to the customer via email, etc. 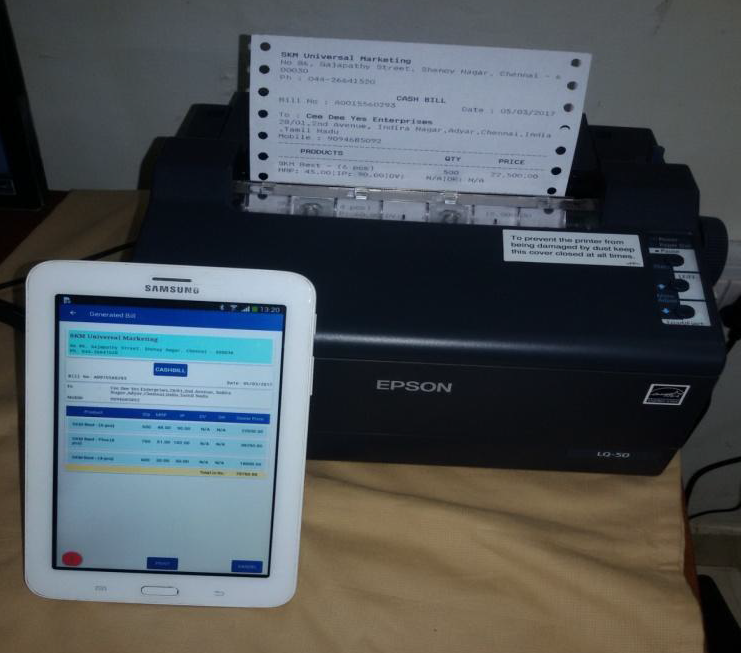 The solution has provision to print the invoices on the spot from a printer mounted on the vehicle. This reduces order to cash cycle and the working capital requirement.